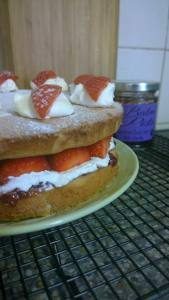 Postnatal doula support is tailored to meet your own needs-what suits one family may not be to the needs of another-always including cake where required! If you are thinking of having a postnatal doula, please contact me to have a chat about anything you might want to include. When you book postnatal support you are assured that I am available to see you at short notice, often within an hour or two, 24 hours a day alongside any set times you might like to schedule. Overnight maternity support is available at any time as well as ‘on call’ packages for the first few days after your baby is born.